It covers several must-haves for Valentine’s Day: something red, something heart-shaped, and of course food. Cut butter into pieces and work into the flour mixture with a pastry cutter. Add in milk a bit at a time while working the dough – just enough so it comes together. You don’t want to over-work it or the biscuits will turn out like a puck instead of nice and fluffy. Place on a lightly-floured surface and roll out to a 1/2 inch thick. 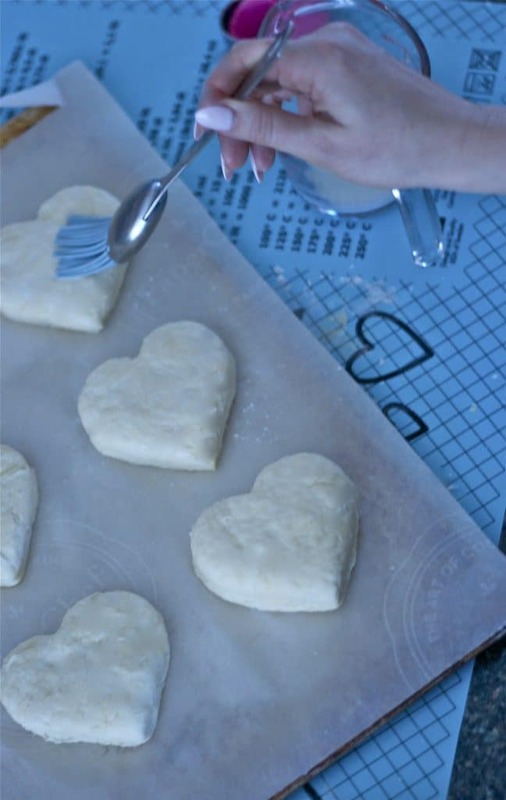 Use your heart-shaped cutter to shape your biscuits. Take a pastry brush to paint a bit more butter onto the front of your biscuits to give them that golden-brown glaze. 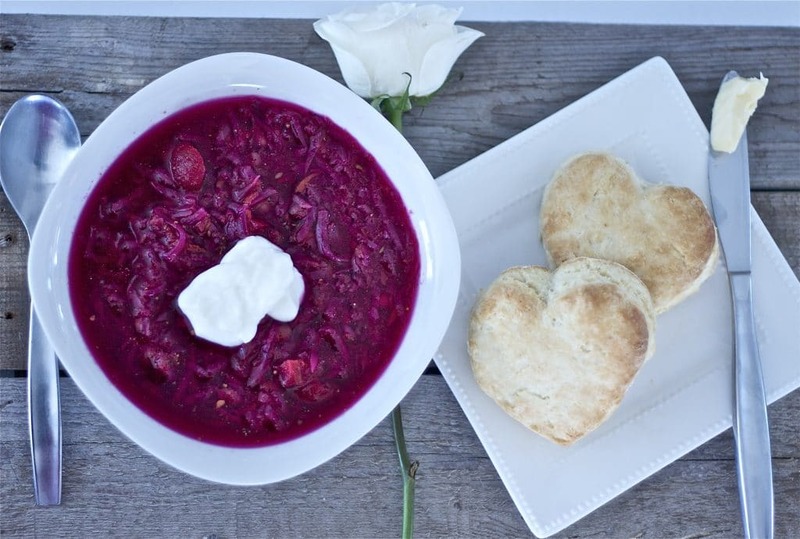 You can stop at making just the biscuits, or go all the way and whip up this amazing Borscht. 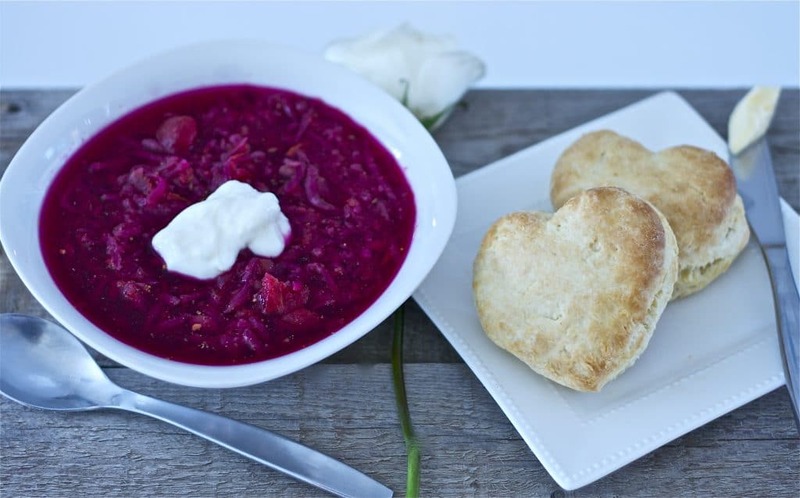 I enjoy this classic Ukrainian dish year-round, but it’s an especially lovely comfort food on Valentine’s Day when it’s still a little chilly outside. As mentioned, this is my mom’s recipe…and it’s the best! Put chopped onion, potatoes, cabbage and carrots in a large stock pot. Cover with water and boil until tender. Peel the cooked beets, then grate them. Add the grated beets to the rest of the vegetables and simmer for a few minutes. Add the remaining ingredients and simmer for another 1/2 hour. There you have it! Your tummy is full and hopefully your heart is too. 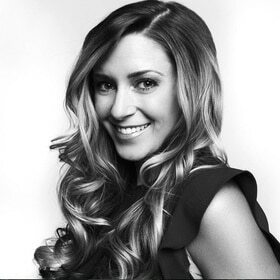 Awwwwww….